House Representative and noted memo writer Devin Nunes has filed a $250 million lawsuit against Twitter, alleging the social media platform has allowed trolls to say mean things to him and make him feel bad. According to the Daily Beast, the trolls in question are two anonymous Twitter accounts, “Devin Nunes’ Mom” (@DevinNunesMom), and “Devin Nunes’ Cow” (@DevinCow), both of whom are also named in the suit, in addition to political consultant Liz Mair. Nunes says Twitter, a website that lets Nazis harass journalists, has demonstrated a “political agenda” by allowing these accounts to exist. Nunes’s suit also claims that Twitter has been shadow-banning Nunes and other conservatives (a pretty common, yet unfounded gripe among the right), and that said shadow-banning amplified the trolls. In 2018, Twitter shadow-banned Plaintiff in order to restrict his free speech and to amplify the abusive and hateful content published and republished by Mair, Devin Nunes’ Mom, Devin Nunes’ cow, Fire Devin Nunes, Devin Nunes Grapes, and others. The shadow-banning was intentional. 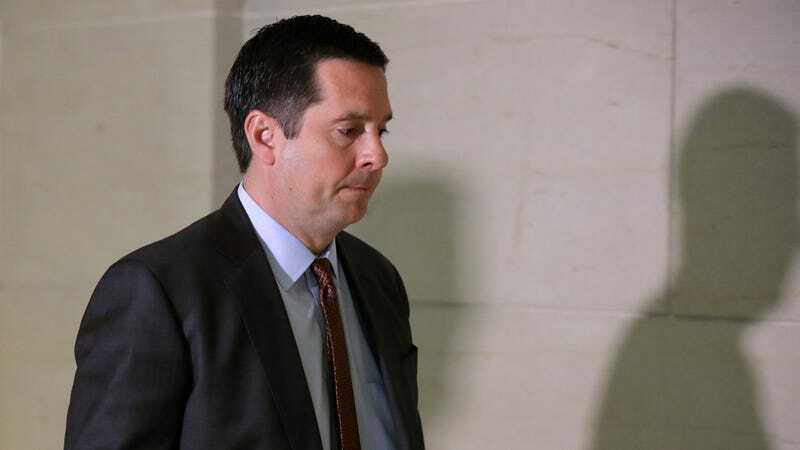 It was calculated to interfere with and influence the federal election and interfere with Nunes’ ongoing investigation as a member of the House Permanent Select Committee on Intelligence. I had not heard of any of these Devin Nunes troll accounts, but thanks to Nunes’s lawsuit, I have had ample opportunity to peruse some of their content. Devin Nunes’ Cow, which has 4,485 followers (including Jake Tapper!) mostly appears to retweet #Resistance accounts. Devin Nunes’ Grapes, which has 30 followers, has made a total of eight tweets. Devin Nunes, a U.S. Congressman, has 388,000 followers. Again, I basically live on the internet and had not once come across a troll account specifically designed to torment Devin Nunes, but thanks to this complaint, I know that Devin Nunes’ Mom tweeted that “Devin might be a unscrupulous, craven, back-stabbing, charlatan and traitor, but he’s no Ted Cruz.” Someone please give Nunes’s legal team a Shorty Award, and, please, no one tell him about discovery.